Fun, Cute and Unique Garden Gnomes! 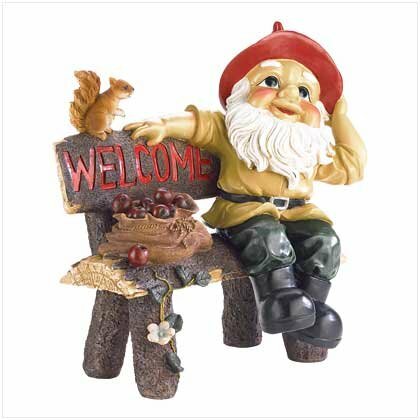 My Favorite Gnome Garden Statues for a Cute and Fun Garden! In my opinion all gardens should have cute gnomes all over them! 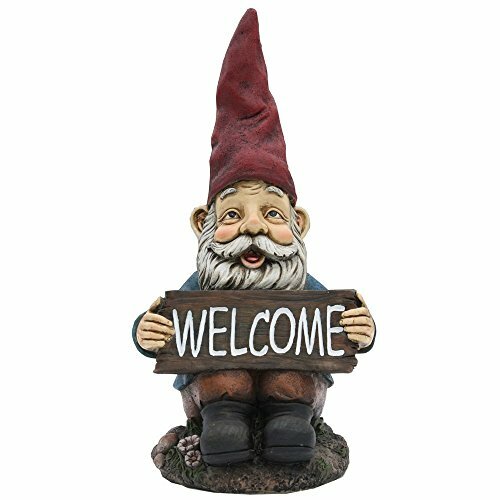 I love gnomes and when I saw these cute, fun and very unique garden gnome statues I had to create this page and gather them together! They are perfect to have sprinkled all over your garden, no matter how big or small! They look very cute near flower beds or behind bushes! My favorite gnome sculptures are the larger ones because they really stand out! I hope you will like my selections and have a fun-filled ‘gnome day’ today! 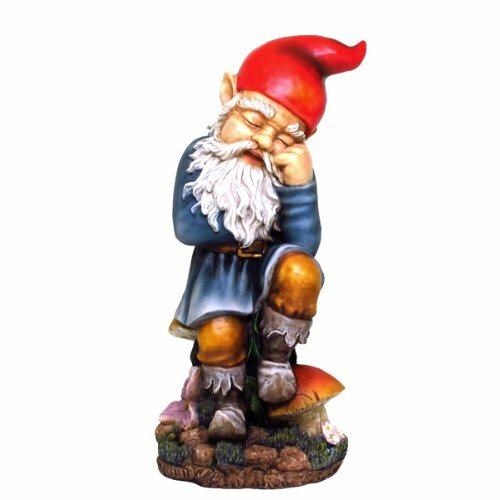 **To get any of these cute and unique garden gnomes for your home, just click on their pictures. (Yes, when I say ‘gigantic’, I mean a very tall gnome, at almost 4 feet tall! He is always happy to see new guests! He loves living in the garden and he is very proud too! This tall gnome statue was all hand-painted and he looks very real too! Got any bikers in the family? 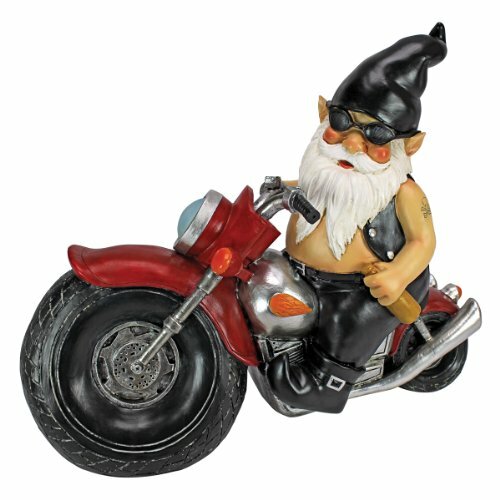 Then this biker gnome statue is the perfect garden gnome for their house! How cool looking is he? He is wearing black leather (well… not really…. it’s hand-painted…), his cool black ‘gnome hat’ and he is riding his very cool red bike! His curved-toe boots are also awesome! But he is adorable, isn’t he? 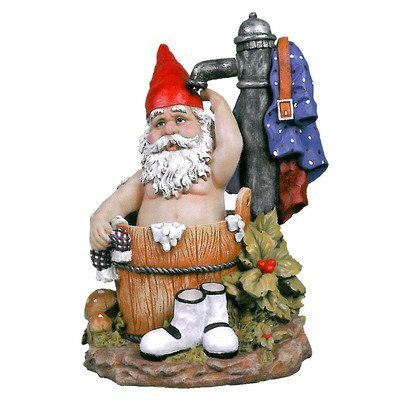 I can’t think of a better garden gnome gift idea! 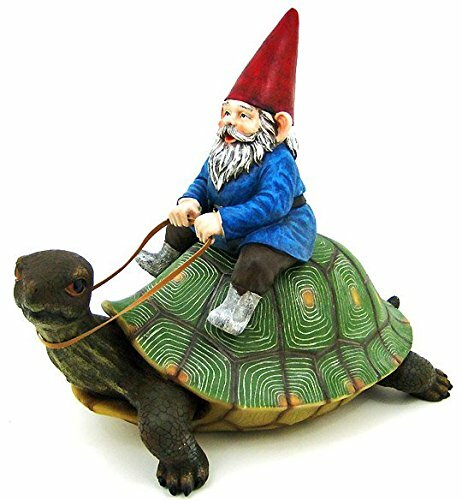 Check out this very cute gnome riding a cute turtle! Now here comes the nicest surprise: it is a fairly large statue as well, at 16 inches tall and 17 inches long! Will definitely stand out in the garden, among beautiful plants and flowers! 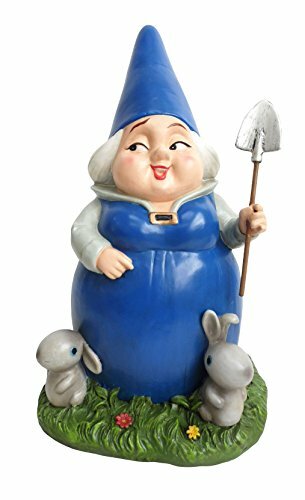 This is one of the most adorable garden gnome statues! He is holding a cool ‘WELCOME ‘sign! Perfect to have near your garden entrance, of course! Great garden gift idea too! *He stands 14 inches tall. 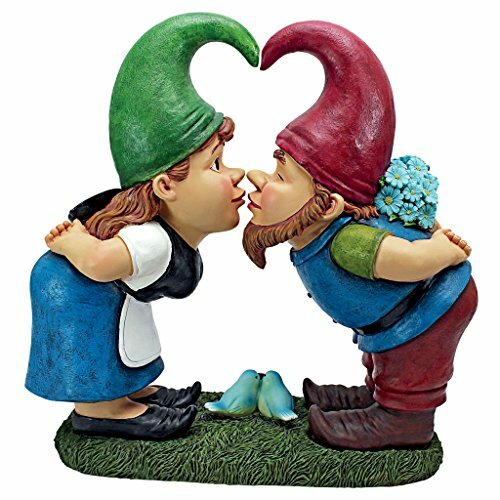 How adorable is this lover gnomes kissing couple statue? How’s that for a cute garden gift idea for grandma? She is a very nice gnome lady who loves her cute bunnies! She also loves watching over beautiful gardens and she feels really proud of her job! Cute and Funny Garden Gnomes! As a matter of fact, he is always bathing! At least you will have the cleanest garden gnome ever! 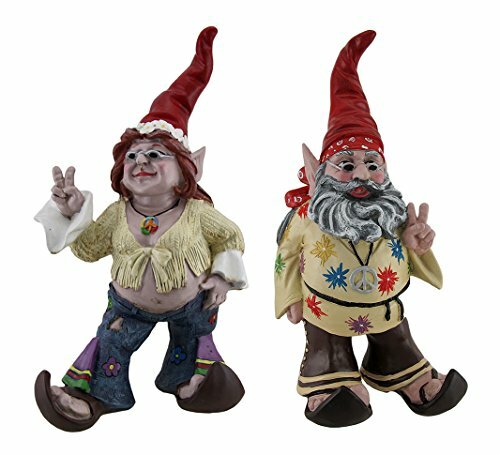 These are highly detailed and very cute hippie’ gnome garden statues! They were all hand-painted and very realistic! Great to place near your entrance! *They stand at over 15 inches tall. Mr. and Mrs. Gnome are now hunting for mushrooms! Seems like they found a large one! I love cute couple gnomes! I think they make great gift ideas for grandma’s garden! 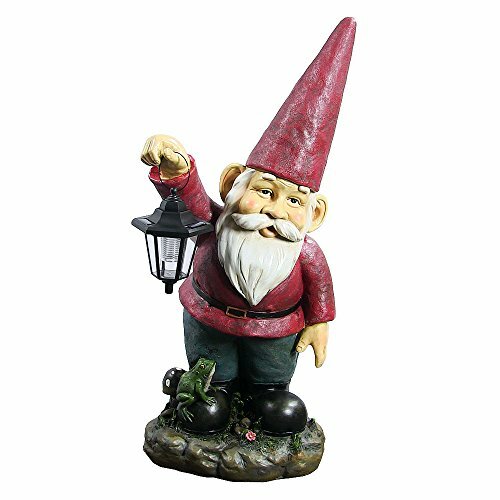 What a beautiful and very colorful gnome holding a solar lantern garden statue for sale! They look awesome at night! Will make your cute garden look very ‘magical’! 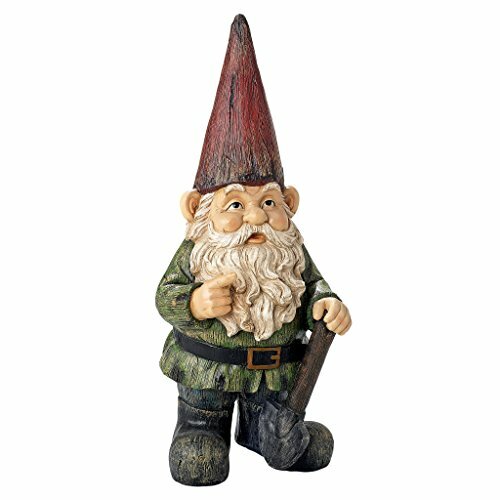 *I hope you had fun here today browsing through these unique garden gnomes! 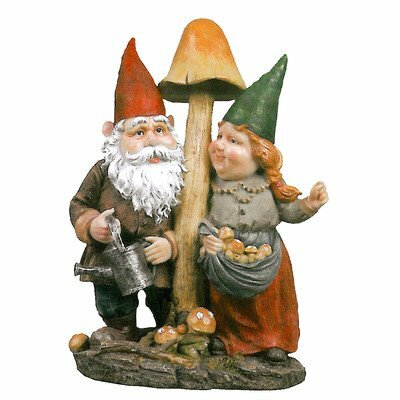 how much is the mushroom lovers colorful garden couple statue??? Hi Betsey, just click on the pictures to find out the price and other specs. Thank you for visiting!